For most of us, deodorant is the one skin product that we put on every single day. And we all know what it’s like when you forget to put deodorant on — IT’S THE PITS! Not only is deodorant something that we put on every day, but it’s also something that we want to stay on all day. Presuming that you’ve been wearing deodorant since your adolescent years when you first discovered (and cared about) the stink coming from your armpits, it’s amazing to think about how much of our lives we’ve spent with this stuff! Work hard, play hard, sweat hard. Keep B.O. at bay with our favorite deodorants. The ingredient list on this deodorant reads like an organic garden: Rosemary, Lavender, Apricot, Grapefruit, Sage, Geranium, and on and on. But, hey! This stuff really works! Featuring a nice, cool, subtle scent derived from essential oils and an aloe, apricot, and vegetable glycerin blend that keeps your skin dry and residue-free, this was one of our favorite deodorants we tested! A great natural deodorant, Primal Pit Paste is available in a number of scents (e.g., lavender, lemongrass, spice, etc.) but the unscented version does an equally good job of mitigating body odor. Available in a jar or as a stick. Although this deodorant is aluminum- and paraben-free, it does contain propylene glycol, which is why we tucked it into the “regular deodorant” category. It has a pleasant citrus-musk scent and features tea tree oil and witch hazel, which makes for a soothing formula that excels as a deodorant for sensitive skin. This antiperspirant/deodorant combo has one of the best scents of all the products we tested. It does contain aluminum, but any antiperspirant worth its weight has to include this ingredient in order to effectively prevent sweating. It also contains Vitamin E and Aloe, which your sensitive armpit skin will appreciate. Applying deodorant from paste in a jar takes some getting used to. But, after awhile, you might find that you prefer this method. Not to mention, some of the best natural deodorants out there are found this way — just look at PiperWai. This stuff has all kinds of benefits (see 100% natural ingredients, plus free of aluminum, parabens, and synthetic fragrances). 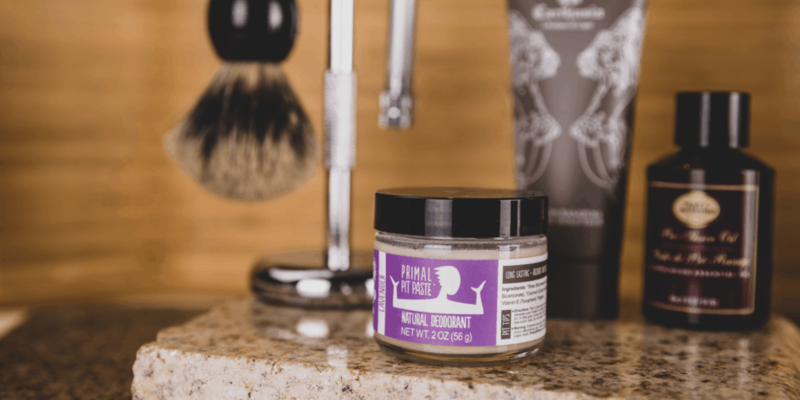 In order to find the very best deodorant for men, we conducted hours of research online and consulted with folks in the skincare industry. We then compiled a list of the top choices and tested nearly 20 different brands of deodorant and antiperspirant to find the very best in each category. We wore each of these products over a period of days and made notes of their performance. We even wore different brands on each armpit to test them out side by side during the same day! There are lots of options out there for deodorant, each with its own unique set of ingredients, fragrance, and method of application. Some of these certainly performed (and smelled!) better than others depending on your desired outcome. Natural deodorant describes deodorants that are made largely, if not entirely, from natural ingredients. Some folks are pretty sensitive to fragrance. So, naturally, they don’t want to be forced to smell it all day on their bodies. But they don’t want to smell like B.O. either! Fortunately, deodorant makers were smart enough to realize this dilemma and find a solution, and that solution is unscented deodorant — brilliant! Unlike natural deodorants, some of these products DO include controversial, albeit effective, ingredients. As such, we decided to create a separate category for these options. If your goal is not just odor-related but also that you do not want to sweat, then you need to use antiperspirant. The active ingredients that block your sweat glands (namely aluminum) do have some health concerns surrounding them (read more in our FAQ section about this). However, some folks really do not care for the way it looks when the armpits of their shirt become visibly wet when sweating. So, that’s the trade off. We’re not here to judge, just to provide you with the info! 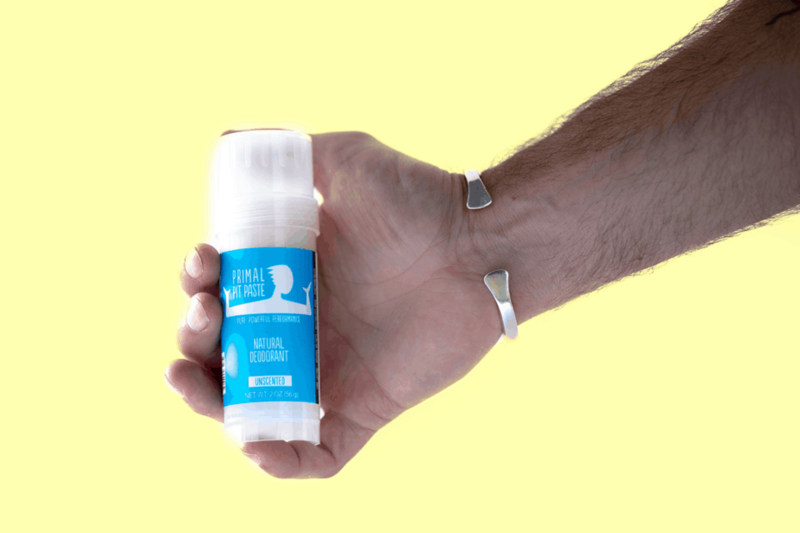 There are a handful of deodorant makers out there who are making deodorant available in different types of application options, typically as sprays* or pastes. So, if you find yourself tired of using the same ol’ deodorant stick, try these puppies out. *Please note: We’re not talking about deodorizing body sprays, like AXE. You’re a grown-up. That garbage is terrible. Avoid it at all costs. It’s better to wear nothing than to wear a body spray. Now that I’ve sufficiently made my point… The kind of spray we’re talking about here is a proper deodorant spray intended for your armpits, and in no way is it a hyper-aggressive, highly offensive, overly pungent fragrance. It is just subtly scented to freshen up your armpits — not piss off everyone on the subway. While we’re on the topic, though… The best thing about AXE? When a truck full of it catches fire, blows up, and people make clever jokes on Twitter: Axe-plosion. Efficacy: How well does the deodorant or antiperspirant work? Does it effectively battle the body odor? For antiperspirants, does it do a good job of preventing sweating, even under high-stress situations? Longevity: How long does it last? Do you have to reapply the deodorant / antiperspirant more than once a day? Scent: Some folks prefer a scented deodorant or antiperspirant instead of (or in addition to) a cologne or fragrance. If that’s you, then you want something that smells nice but is not overwhelming. Ingredients: This might be the most important criterion for some buyers. Considering how much you wear this stuff, you want to make sure that none of the ingredients will be harmful to you. Feel: Some deodorant goes on easier than others. And some feel better than others. What feels “better” is a bit of a subjective measure, but one we definitely considered. Based on these key factors, we’ve selected the following products as the best deodorant for men. The popularity of natural deodorants has skyrocketed recently with increased awareness about what we’re putting in (and on) our bodies as we all try to live healthier lives. Sure, natural deodorant could be part of a marketing trend appealing to our health and wellness efforts. But if these values are important to you, then why not go for it when and where you can — even when it comes to your deodorant. 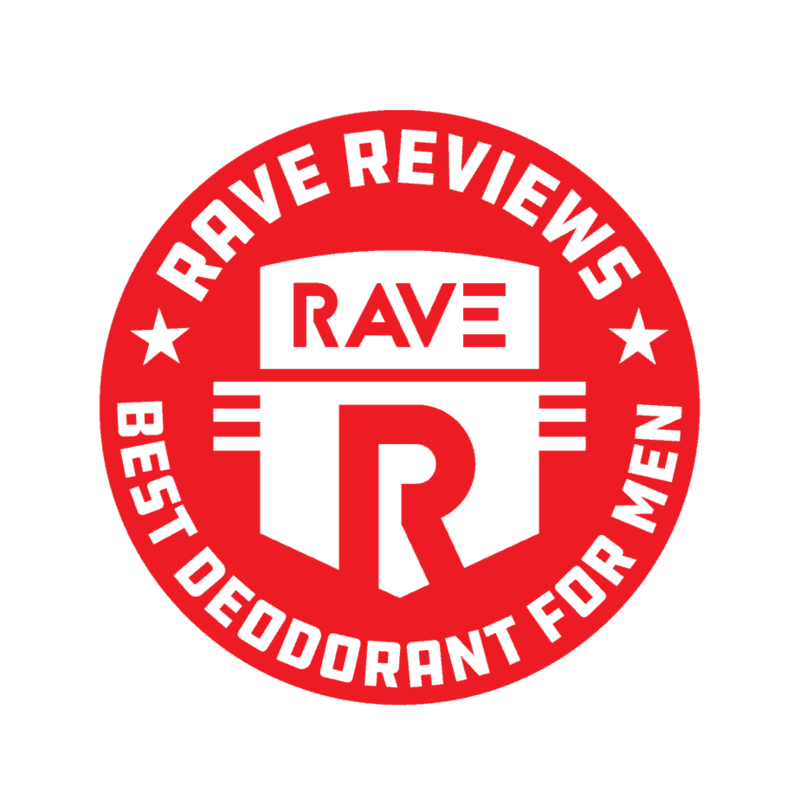 It’s for this reason that natural deodorant is the preferred type of deodorant that the staff here at RAVE enjoys using. Natural deodorant describes deodorants that are made largely, if not entirely, from natural ingredients. Some common ingredients found in deodorants and antiperspirants have been found to be potentially harmful (e.g., aluminum, parabens, and glycol — see our FAQ section for a more complete list of controversial ingredients often found in these products) and this category of deodorant aims to avoid ‘em! The ingredient list on the Real Purity Roll-on natural deodorant reads like an organic garden: Rosemary, Grapefruit, Lavender, Geranium, Apricot, Sage, and on and on. We weren’t sure that these ingredients could offer real odor-blocking power, but we can’t argue with the results. Featuring a nice, cool, subtle scent derived from essential oils and an aloe, apricot, and vegetable glycerin blend that keeps your skin dry and residue-free, Real Purity turned out to be one of our favorite deodorants among all those that we tested. A great natural deodorant available in a number of different scents. Based out of Portland, OR, this product is certified vegan and cruelty-free to boot! Also 100% vegan, this deodorant is free of all those questionable ingredients, works well, and smells good! One of the most popular natural deodorants out there, Native also offers a subscription service. Add this to your Harry’s razors and Quip toothbrush refills, and you’re set! It’s hard to justify this price point with so many other, less expensive products out there that work just as well. However, this product is a very good deodorant for sensitive skin. 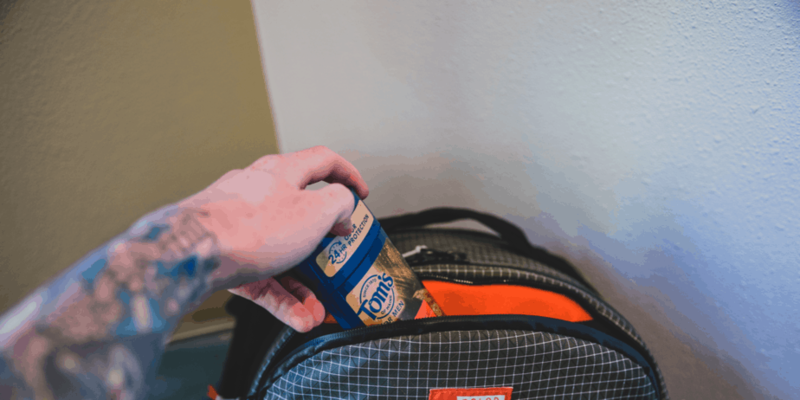 There are a good number of folks who prefer to wear unscented deodorants, either because they’re sensitive to fragrance in general or, possibly, they already wear a cologne and they don’t want too many competing scents going on. The good thing about unscented deodorant is that it does just as good of a job as scented deodorants when it comes to mitigating B.O. This is because it’s not the fragrance of deodorant that prevents unwanted body smells. It’s actually the active ingredients found in effective deodorants that kill the bacteria which produce this odor. So, rest assured: You don’t have to smell like roses (or anything for that matter) to smell good! Most of the unscented deodorants that you’ll find out there are natural deodorants. This makes sense because natural deodorants typically talk up the fact that they are free of superfluous ingredients, of which fragrance is arguably one. Though, it’s worth pointing out that those fragrances natural deodorant brands do use tend to be derived from… wait for it… natural ingredients. This being the case, it’s no surprise that the winner of our best unscented deodorant is also a natural deodorant. Made in Austin, TX, Primal Pit Paste is available in a jar (hence the name) or in your typical deodorant stick. We prefer the ease of use of the latter, though it can tug a little bit at your armpit hairs given the consistency of the product — but, don’t be a wuss, be PRIMAL! This stuff works great, and some of the ingredients (e.g., baking soda) actually work to absorb moisture, a feature that you don’t see from many other deodorants. It’s free from all the bad things and full of lots of good things, almost all of which are organic: shea butter, coconut oil, beeswax, arrowroot powder, and vitamin E from sunflowers. Best of all: when you wear Primal Pit Paste, your armpits won’t smell like anything — nothing at all. This Australian deodorant brand is made with Japanese-sourced magnesium, which promotes all sorts of healthy body functions. It also does a great job of mitigating unwanted odor, and is made in our favorite application type as a roll-on. Much like Ursa Major above, this product works splendidly but it is at a bit of a higher price point. It, too, is a great deodorant for sensitive skin. Unlike natural deodorants, which make a point of eschewing potentially harmful ingredients, there are plenty of deodorants out there that do a great job as a deodorant but do include some of these controversial, albeit effective, ingredients. If you’d like to learn more about the conversation surrounding these suspect ingredients, please refer to our FAQ section, which will direct you down this rabbit hole. Like many other skincare products, you can run the gamut as far as price point is concerned. On one end of the spectrum, you’ve got your budget brands — think Speed Stick and Old Spice. On the other end, you’ve got the more expensive, premium, fashion brands (often associated with their corresponding fragrances) like Gucci, Hugo Boss, Prada, Tom Ford, Armani, etc. Our winner of this category, Baxter of California, falls beautifully into the middle. Baxter of California is known for their excellent selection of high-quality men’s grooming products: shaving, hair, face, and body. Not only does this deodorant smell super good, but it largely does without those arguably harmful ingredients, like aluminum and alcohol. It includes a lot of good, natural stuff too, like witch hazel, tea tree oil, and chamomile. If you just want a no-nonsense, don’t-wanna-think-about-it, go-to staple, then just get this deodorant. It’ll get ‘er done. Oh, and it’s got a “comfort guard applicator”… whatever the hell that is. From the powerhouse skincare brand L’Occitane, this great-smelling deodorant for men is free from aluminum and parabens. If your goal is to avoid sweating altogether, go for an antiperspirant. It’s worth noting that the active ingredients that block your sweat glands — namely aluminum — do have some health concerns surrounding them (but read the links in FAQ #4 to make yourself feel better about this). Naturally, many antiperspirants are actually an antiperspirant/deodorant combo. Not only do they prevent sweating (the antiperspirant part), but they also combat the bad armpit smells too (the deodorant part). Our winner of this category is one of these antiperspirant/deodorant combos. 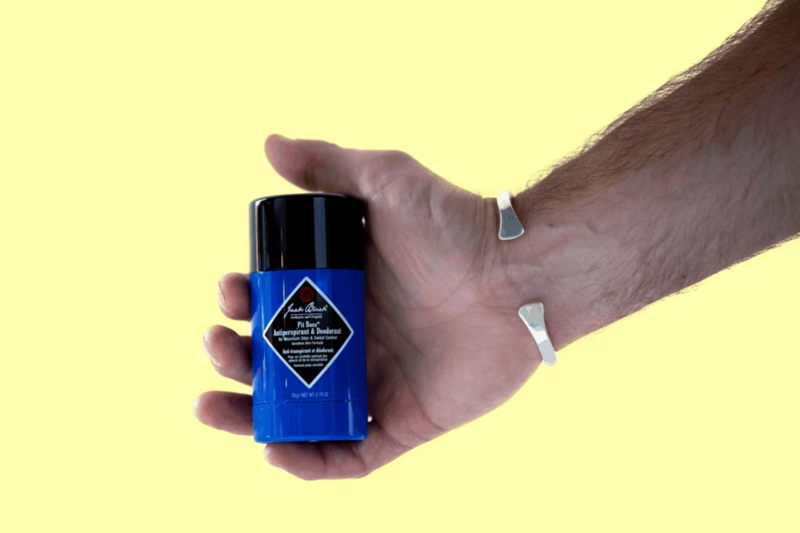 Jack Black (the high-quality men’s grooming product company, not to be confused with this Jack Black) Pit Boss Antiperspirant & Deodorant features one of the best scents of all the products we tested. Pit Boss does contain aluminum, but any effective antiperspirant has to include this ingredient in order to effectively prevent sweating. It also contains Vitamin E and aloe, which is perfect for sensitive armpit skin. Another budget brand household name, Old Spice has certainly won over a lot of fans with their genius marketing. Like Speed Stick above, if you don’t really care about taking it to the next level, this is a fine option. The antiperspirant from Molton Brown, a luxury brand out of London, commands a cult following for its unique, spicy, masculine fragrance. If you find yourself tired of using the same ol’ deodorant stick, broaden your horizons with a deodorant in the form of spray or paste. These variations on the classic deodorant stick design are quickly gaining popularity. For those who have never done it before, applying deodorant as paste from a jar is a bit of an adjustment. After awhile, however, lots of folks find that they actually prefer this method. As it happens, some of the best natural deodorants out there are found in this form. Take PiperWai, for instance. This stuff has a lot of the benefits of the other natural deodorants we tested (100% natural ingredients and totally free of aluminum, parabens, and synthetic fragrances). 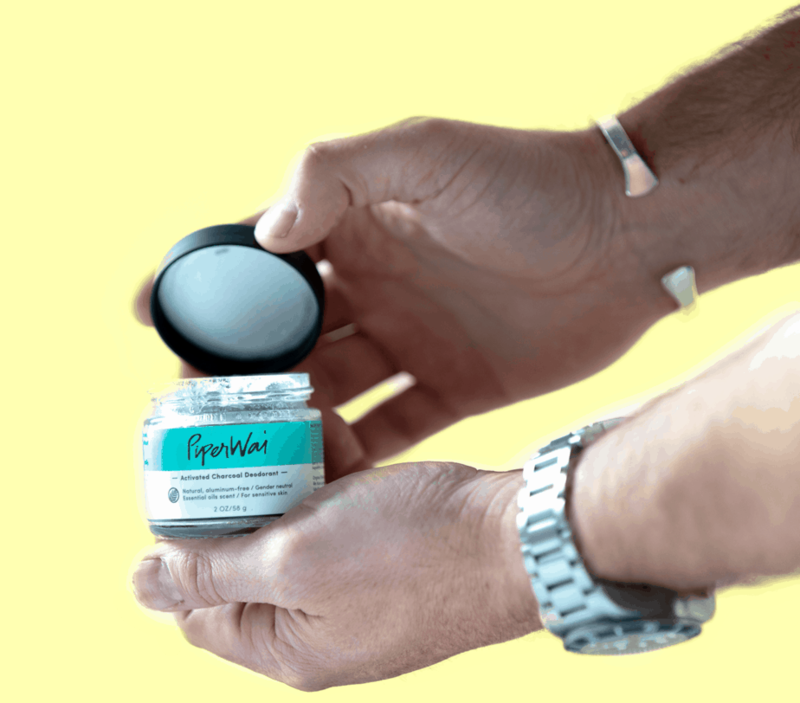 But what we really like about PiperWai deodorant is that it uses activated charcoal, a substance with unique absorbent properties to combat moisture, odor, and toxins. A very similar product to PiperWai, this is a natural deodorant that comes in a jar and features activated charcoal. We like the Tea Tree scent. This is the same stuff as the winner of our unscented deodorant category, but it’s in a jar. Why not try one of the scented varieties while you’re at it? At half the price of PiperWai, it’s a good deal for good stuff! Aēsop, from Melbourne, Australia, makes high-end products for skin, hair, and body. This deodorant features a very clean, subtle scent that freshens your armpits with key ingredients like vetiver root, zinc ricinoleate, and coriander seed. SweatBlock Clinical-Strength Antiperspirant ($20): So you wanna bust out the big guns, do ya? This is some real serious stuff, effectively preventing perspiration for up to 7 days per use! Holy mackerel. 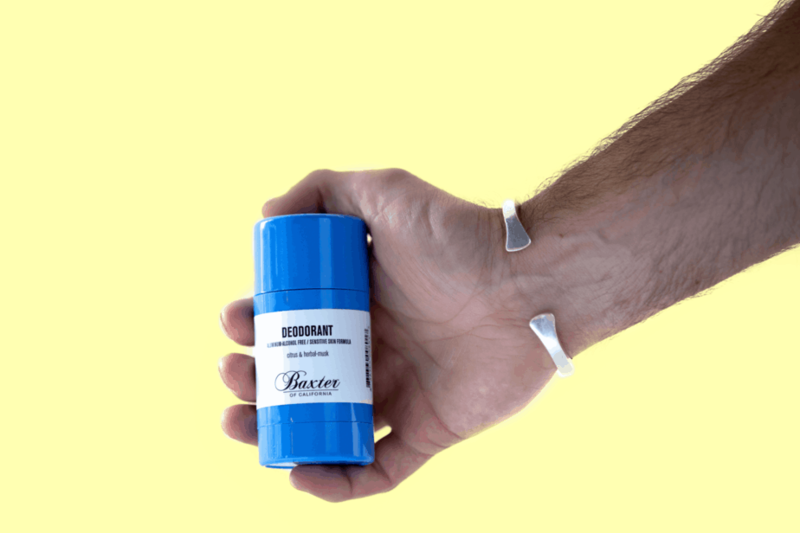 If you suffer from hyperhidrosis or excessive sweating, give SweatBlock a shot. It’s available as convenient underarm wipes. Make sure you apply this stuff at bedtime (see FAQ #5). 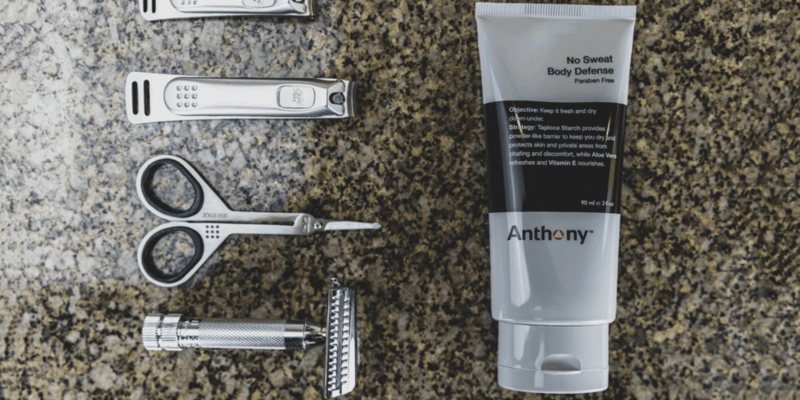 Anthony No Sweat Body Defense ($20): This product rules. It’s a cream that provides a powder-like barrier to keep you nice n’ dry anywhere. Rub this stuff on your nethers, in place of messy ol’ Gold Bond, to keep that area free from chafing and discomfort. Acqua di Colonia Tabacco Toscano Eau de Cologne ($135): Treat yourself to some proper cologne from the oldest pharmacy in the world. These folks have been making fragrances in Florence, Italy since the 17th century. They make classic scents that have remained popular for all this time, so you know they’re good. Acqua di Colonia Russa is another favorite scent of ours, brighter and more summery than the Tabacco Toscano. What’s the deal with aluminum in deodorant / antiperspirant? Aluminum is an active ingredient commonly used in antiperspirants which works to prevent sweating. It clogs sweat ducts, thus preventing sweat from coming out of those areas to which it is applied. Aluminum has been linked to health risks, particularly breast cancer and Alzheimer’s. As such, it’s a controversial ingredient, the absence of which usually designates a “natural” deodorant. Also, you know those unsightly, yellow pit stains that don’t wash out of your white shirts? Those are believed to be caused by aluminum. You won’t get those if you wear a natural deodorant. What other ingredients in deodorant / antiperspirant are potentially harmful? 100% natural deodorants aim to avoid all of these, using, instead, ingredients derived from nature to achieve the same effects (e.g., odor and moisture control). Deodorant is a product that mitigates unwanted body odor. It’s usually combined with some kind of fragrance that also adds a nice smell, but unscented deodorants exist that do an equally good job of dealing with these bad armpit odors. Antiperspirant, on the other hand, almost always has some kind of odor-fighting effect, like deodorant, but it also prevents sweating. Some folks do not like the sight of sweat showing through their clothing, in which case an antiperspirant is usually necessary as a means of prevention. But, beware! Refer back to FAQ #1 to understand how the aluminum in antiperspirant causes those permanent yellow pit stains on your light-colored garments. Is antiperspirant bad for you? This is hugely debatable. The most controversial ingredient in antiperspirant is aluminum, and there are several sources that say it’s probably harmless. For example, check out these articles on WebMD and LifeHacker on the topic. Having said that, there are enough additional ingredients that cause concern in antiperspirants (see FAQ #2) to warrant a hugely popular market of natural deodorants that are made without these. Another point to be made is that it is perfectly natural and healthy for our bodies to sweat. Much more embarrassing than sweating is smelling badly, and natural deodorants (even unscented ones) do a very sufficient job of dealing with this. So, it may be worth considering accepting the sweat and using what you know to be a harmless product. When is the best time to apply deodorant / antiperspirant? How often? Everybody is different! Depending on your individual anatomy, level of physical activity, and stress levels, re-application may be necessary. 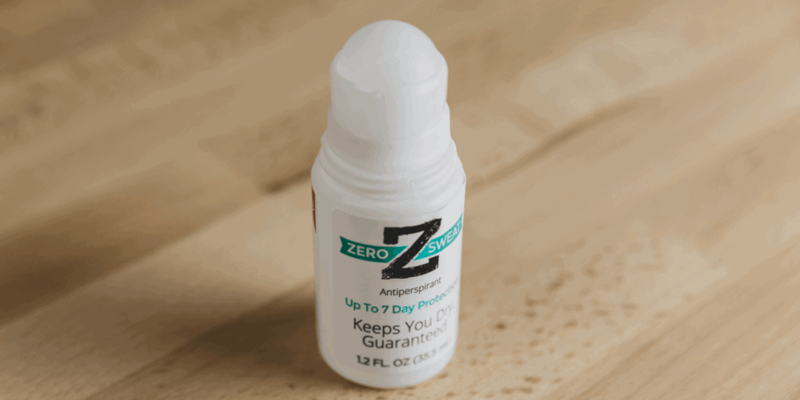 However, there is a general principle to follow when applying antiperspirant, specifically, that seems counter-intuitive: Instead of applying it in the morning after you take a shower, apply it before you go to bed. This way, you give it sufficient time to actually clog the sweat ducts. You can still shower the next morning, rinse the residue off, and it’ll work even better! Read more in this article from The Verge. As for deodorant, apply it after showering and as much as needed thereafter. Yes, it does. Again, it likely won’t work very well as an antiperspirant (see sweat prevention), but for mitigating unwanted body odor, it works splendidly.